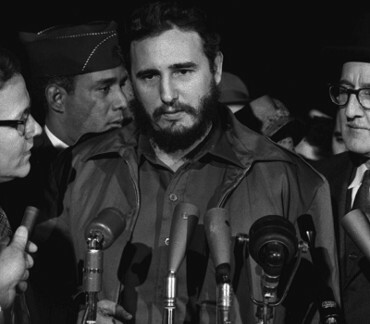 "Castro served as Prime Minister of the Republic of Cuba from 1959 to 1976 and then President from 1976 to 2008. Politically a Marxist-Leninist and Cuban nationalist, he also served as the First Secretary of the Communist Party of Cuba from 1961 until 2011. Under his administration Cuba became a one-party socialist state; industry and business were nationalized, and state socialist reforms were implemented throughout society. Internationally, Castro was the Secretary-General of the Non-Aligned Movement from 1979 to 1983 and from 2006 to 2008." Cuban communist revolutionary and politician (1926-2016). 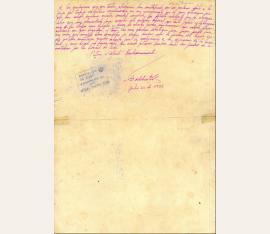 Document signed with signature stamp ("Fidel Castro"). N. p. o. d. Small 4to. 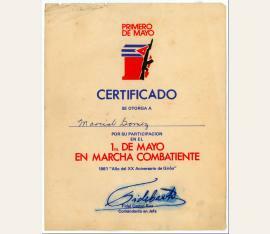 1 p.
A certificate for Marcial Gomez on the 20th anniversary of the Bay of Pigs Invasion ("Certificado se otorga a Marcial Gomez por su participación en el 1ro de mayo en marcha combatiente"). - Some bleeding to ink in parts of the signature; slight damage to edges. Cuban communist revolutionary and politician (1926-2016). 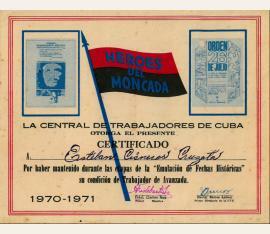 Document signed ("Fidel Castro"). N. p. Oblong 4to. 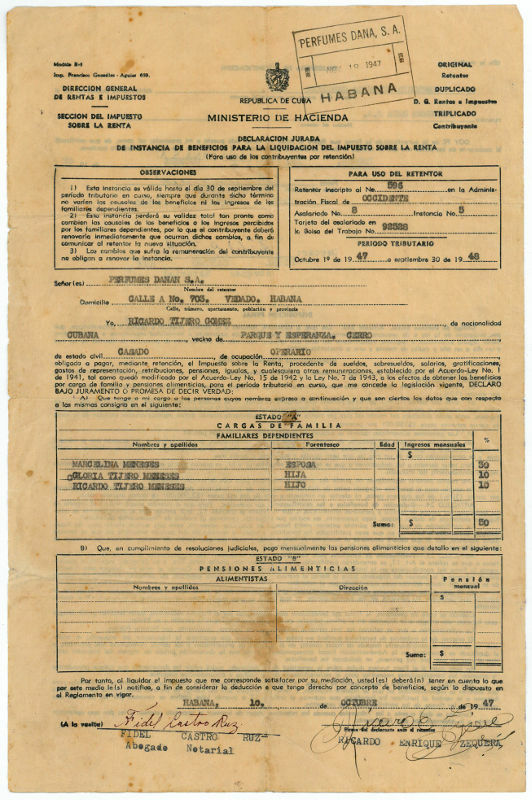 1 p.
Certificate of the Workers' Central Union of Cuba (Central de Trabajadores de Cuba) for the schoolboy Esteban Cisneros Cruzata for having participated successfully in a competition for the emulation of historic dates ("La central de trabajadores de Cuba otorga el presente certificado a Esteban Cisneros Cruzata por haber mantenido durante las etapas de la 'Emulación de Fechas Históricas' su condición de Trabajador de Avanzada"). - Slightly spotty and wrinkled. Cuban communist revolutionary and politician (1926-2016). 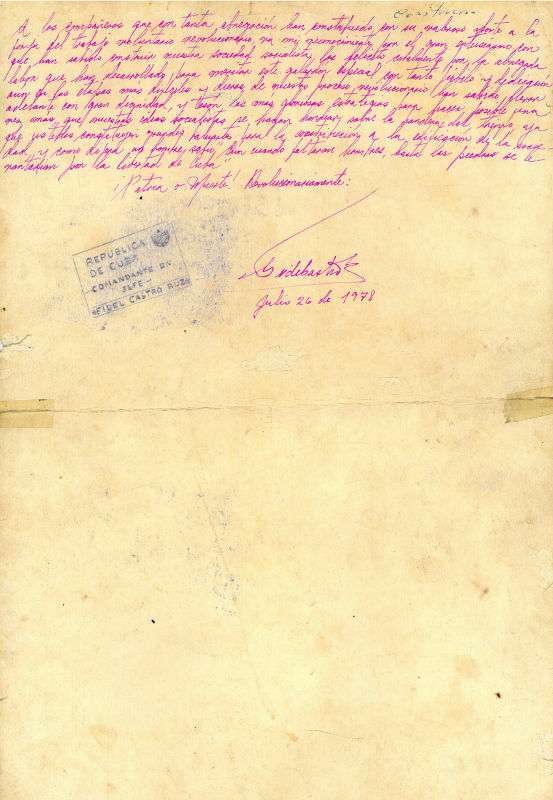 Document signed with signature stamp ("Fidel Castro"). N. p. Oblong 8vo. 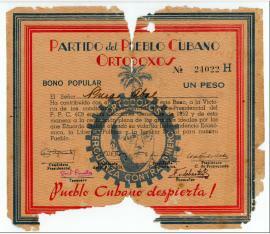 1 p.
1 peso share certificate in the Partido Ortodoxo (Partido del Pueblo Cubano Ortodoxos). 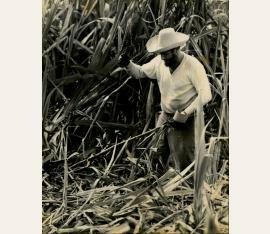 - Fidel Castro was an active member of the Ortodoxo Party in the late 1940s and early 1950s. He intended to run as Ortodoxo candidate for the Cuban parliament prior to Batista's coup . - Somewhat browned; severe edge defects. Cuban communist revolutionary and politician (1926-2016). 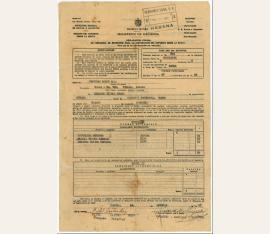 Document signed twice ("Fidel Castro Ruz"). Havana. Folio. 2 pp. Income tax return form, signed twice by Castro as candidate lawyer. - Somewhat spotty, browned and wrinkled; some damage to edges. - Rare so early. Cuban communist revolutionary and politician (1926-2016). Original photograph signed. N. p. o. d. 253:204 mm. 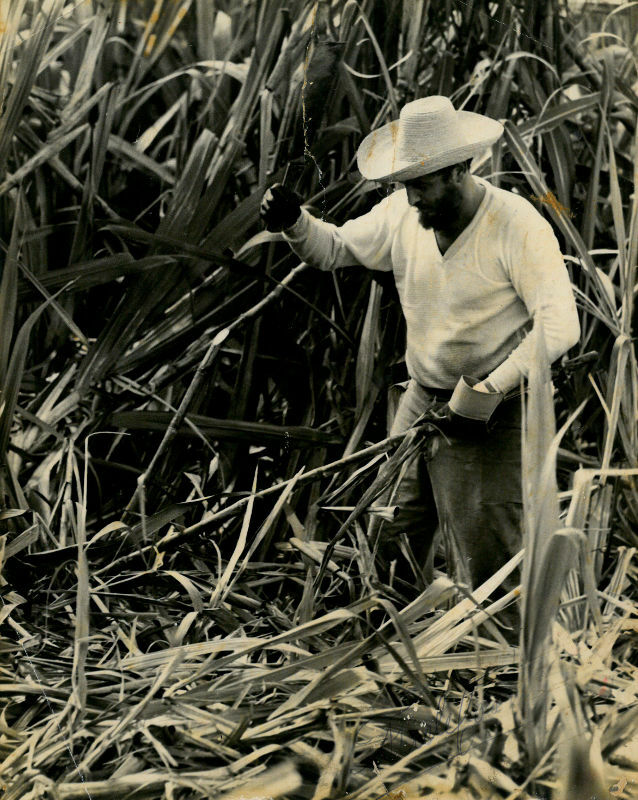 Black-and-white photograph depicting Castro cutting sugar cane in a plantation. The reverse shows Alberto Korda's original photographer's stamp. Slightly wrinkled and spotty; signature rather faded. Cuban communist revolutionary and politician (1926-2016). Diploma. 11 autogr. 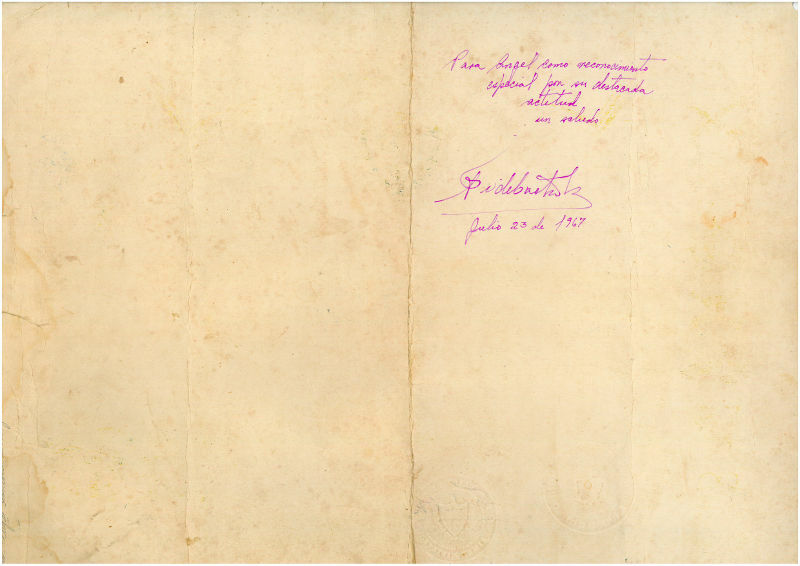 lines and signature by Castro on the reverse. Havana. Royal folio. 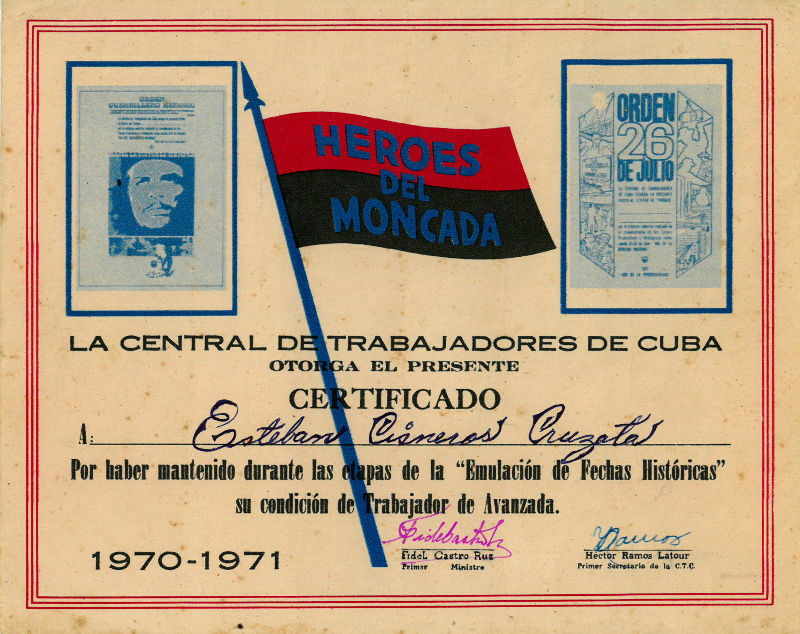 1 p.
Certificate for Simon Montero Delis, a member of the Armando Mestre brigade, who won the special award "Jesús Menéndez" in recognition of their discipline, heroic poise, and exemplary contribution to the cause in fighting oppression and for the building of socialism ("El consejo de ministros de la republica de Cuba hace constar que Simon Montero Delis miembro de la Brigada Armando Mestre que obtuvo el Galardón Especial 'Jesús Menéndez', recibe como testimonio el reconocimiento de nuestro pueblo, por su disciplina y su heroica actitud ante el trabajo individual durante la Zafra 1978 y su aporte ejemplar en la batalla contra el subdesarrollo y por la construcción del Socialismo, como se expresa en los siguientes resultados"). 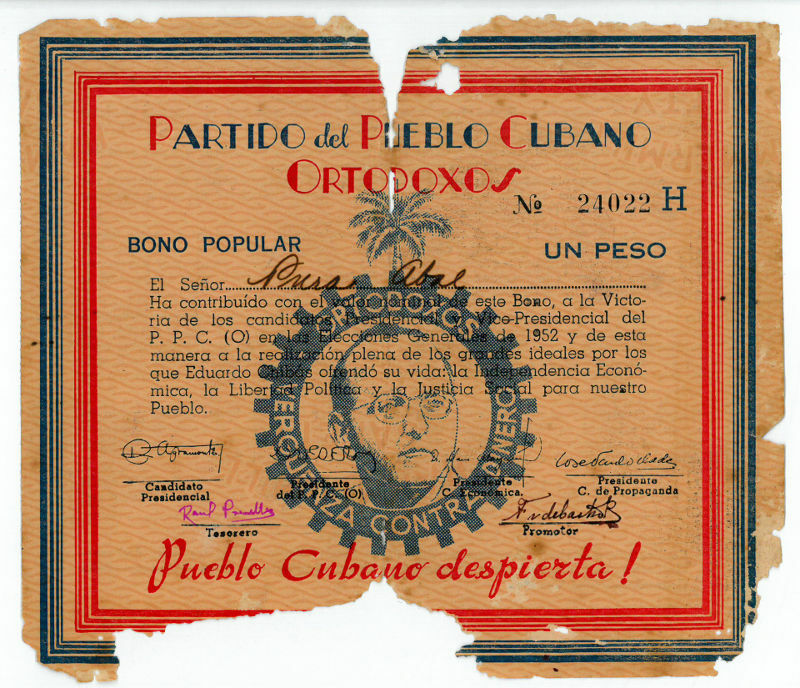 - Some damage and slightly worn..
Cuban communist revolutionary and politician (1926-2016). Diploma. 4 autogr. 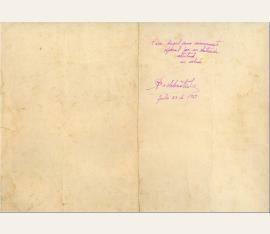 lines and signature by Castro on the reverse. Havana. Oblong royal folio. 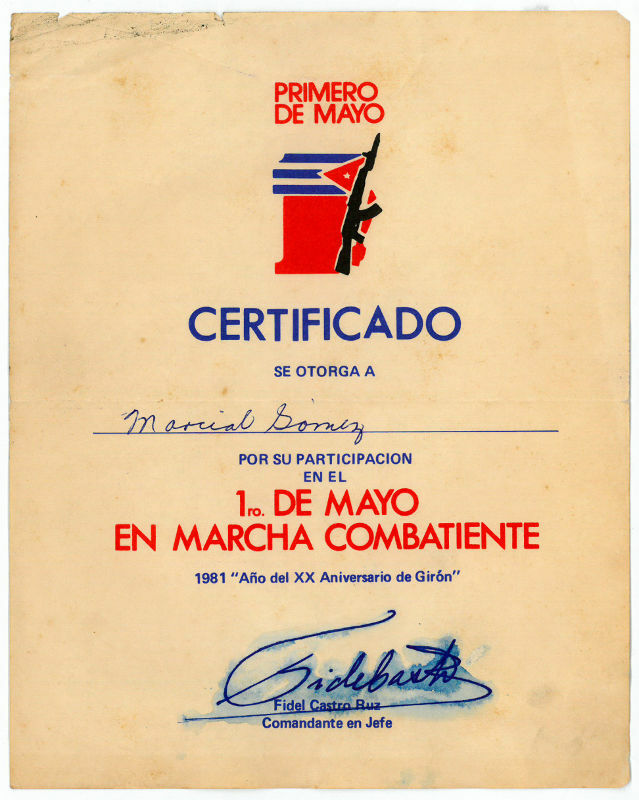 1 p.
Diploma issued by the "General Maximo Gomez" school to Lt. Angel Poutou Alvarez, who completed a special course in artillery ("El T[enien]te Angel Poutou Alvarez ha recibido el Curso Regular de la Especialidad de Artilleria en esta Escuela, habiendo resultado Aprobado en el mismo, en virtud de lo cual se le otorga el presente Diploma"). - Severe wear and edge damage.